The board of directors of MIT Club of Research Triangle extend an invitation for a special evening with local MIT alumna Grace Ueng (SB 87), CEO of Savvy Growth, leading a discussion on Innovation with Jeff Hovis (SB 78, SMME 80), Managing Principal of Boston innovation consulting firm, Product Genesis,www.productgenesis.com , spun out of MIT Innovation Center. Product Genesis consists of seasoned consultants, drawn from MIT & the Boston 'innovation hub.' Founded in 1986, the firm has completed more than 1500 client engagements for over 100 of the Global 1000 as well as leading venture and private equity firms. Jeff & his team bring broad, lateral thinking that contributes to silo-busting product and service innovations. Mingle with Grace and Jeff and fellow MIT Alums in an informative evening focused on Innovation. 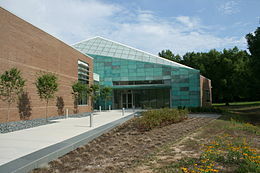 Program will include catered dinner at the Research Triangle Foundation.